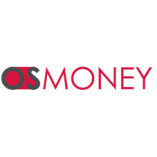 Os Money is a one window solution for all short-term and mid-term loan needs. Get funds beyond credit score status. Long tenure for small amount and rational rates with customised deals. Procedures are online, no physical verification. Borrow... funds and repay with no stress on one long year. Rate quotes are rational and there is not obligation quote with any of the loan offer for 12 month 500 Pound loan.